Lake Minnetonka Home Buying: Think "New"
The Lake Minnetonka home buying market offers a number of options. 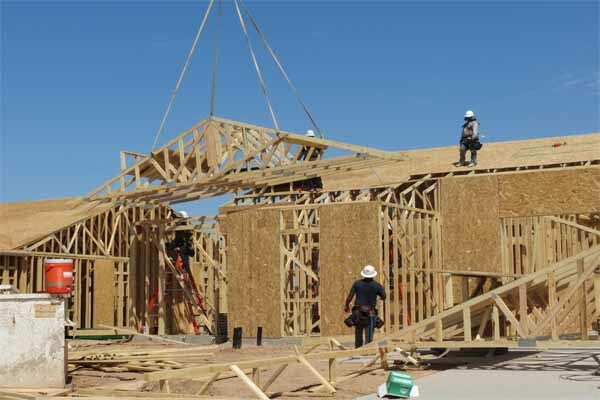 With sales of new construction last year surging to the highest level since 2007, single-family home production is projected to reach 840,000 units this year. That represents an increase of 18% over 2015, according to the National Association of Home Builders (NAHB). The challenge for home buyers, however, is new residential construction comes with a higher price tag than ever. The NAHB reports that in 2015 the average price of a newly-constructed home rose to $351,000 – an increase of over $100,000 from 2009. If you're thinking of buying a new home, there are several things to know and questions to ask. Let's examine them. Lake Minnetonka Home Buying: Know "New"
While you're shopping for a new home in the Lake Minnetonka home buying marketplace, experts suggest you should get additional quotes from a minimum of two other lenders before making a decision. However, look past just the interest rate being offered. Compare the terms of each lender to ensure the loan estimates are comparable. Every HOA is different. While they all have Declaration of Covenants, Conditions and Restrictions (CC&Rs) as well as bylaws, what those items contain will vary from place to place. If you're looking for a new home in the Lake Minnetonka home buying market, be sure to get a copy of that information from the builder or development's representative and review them closely. If you want to have a private fence, a backyard storage shed or a doghouse you may want to check the HOA restrictions. Some HOA'S don't allow for those – and other – items. Ignorance of the bylaws will not excuse you from being assessed a penalty for non-compliance. In addition, be sure to find out when your HOA dues will commence. Many builders cover the HOA costs until a certain percentage of the development's homes (usually 50%) are sold. As is the case with auto mechanics, dentists or even hairstylists, we all feel more comfortable dealing with people who come highly recommended. It's the same with builders in the Lake Minnetonka home buying arena. Have the builder provide you with references and contact each of them. Ask them questions like, "Did he solve any issues that arose in a timely and satisfactory manner?" and "Would you do business with the builder again?" Remember this, however, it's human nature to only provide the names of references that will give us positive reviews, so be smart – see if you can find past customers of the builder on your own. Checking online for reviews on Angie's List, calling your local Better Business Bureau or area Homebuilder's Association, or going door to door and canvassing the homes previously built in your neighborhood may also provide additional information. See more articles pertaining to home buying tips in the section of articles on Lake Minnetonka Home Buying Tips just below Lake Minnetonka Real Estate Categories in the column to your right. And remember, we also post tips daily on Facebook and Twitter . Check us out there too.